I was craving Mexican yesterday and in honor of meatless Monday I decided to make veggie quinoa enchiladas. 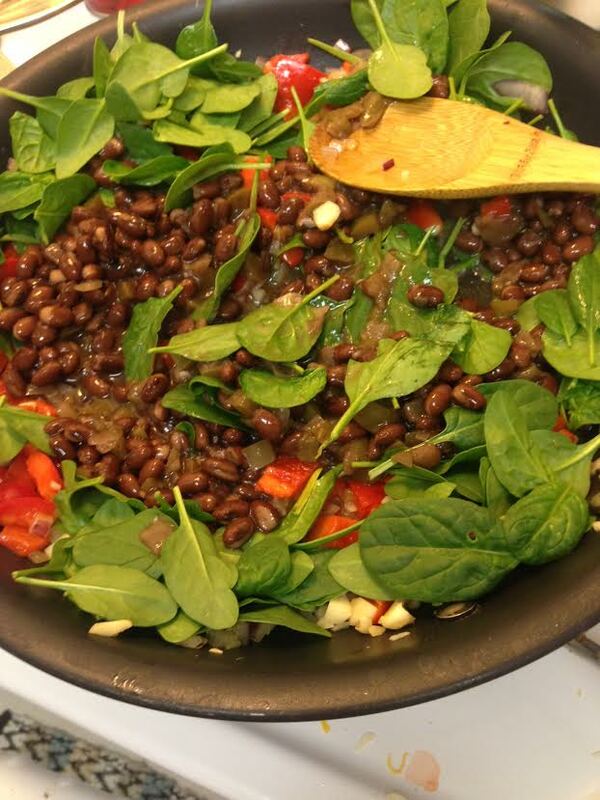 After searching the web for awhile I came across this amazing blog and found countless healthy delicious recipes. I hope I can get my blog up to this level of awesomeness one day! I went to Trader Joe’s (I am completely obsessed) last night and discovered that they had pre-cooked frozen quinoa. I was over the moon about this find, mainly because usually when something is “easier” to make you pay the price with preservatives and artificial ingredients, but Trader Joe’s somehow finds a way to sell convenient foods without such things. The box was $3.99 so naturally I stocked up on these bad boys to have as a staple in my freezer! This dish was insanely filling and delicious! In a large skillet over medium heat, saute onion, red pepper, and garlic for 5 minutes. Add spinach and saute another couple minutes until spinach is wilted. 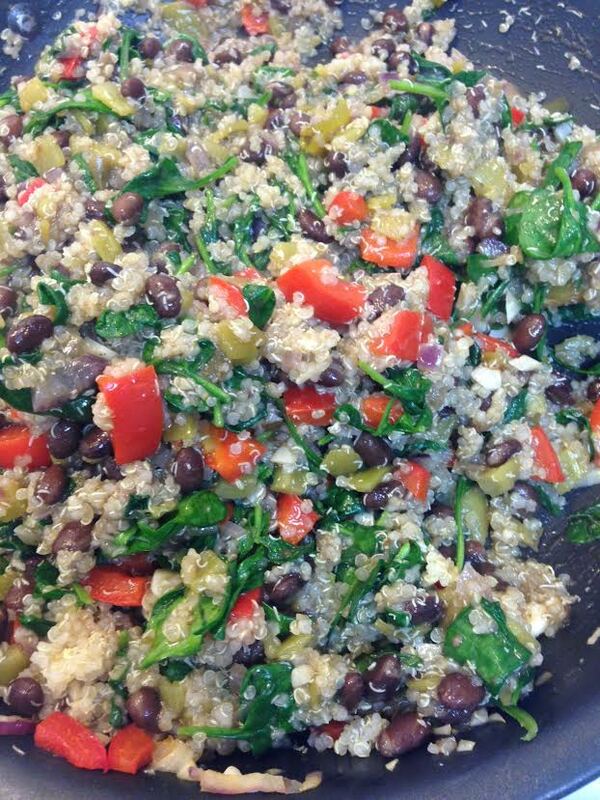 Add cooked quinoa, black beans, tomatoes, green chiles, spices, and salsa. Stir to combine and cook until heated through. Salt/pepper to taste. 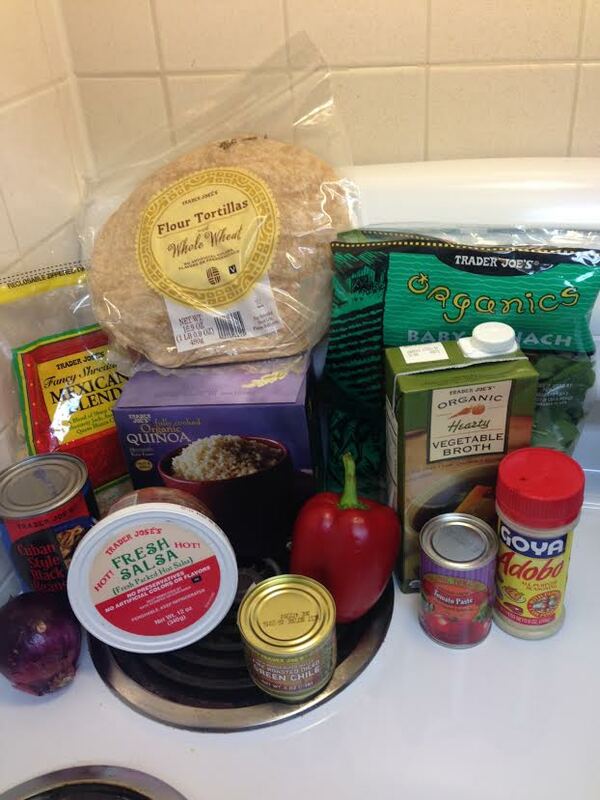 Place a small amount of enchilada sauce in the bottom of a 9×13 inch baking dish. Divide filling evenly among tortillas, roll up with ends tucked in, and place seam side down in the dish. 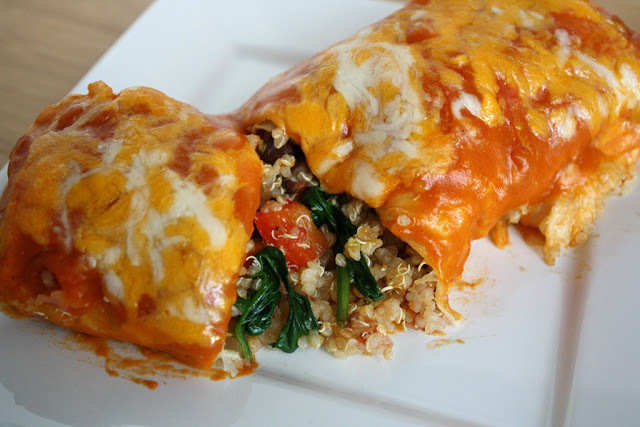 Pour remaining enchilada sauce on top, sprinkle with cheese, and bake for 30 minutes. Picture taken from http://www.thegardengrazer.com- go check it out!